Arron was born in Coventry and grew up in a town called Hinckley, he lived in Sheffield for uni for a number of years before heading home to the Shire. Ellie was born in Blackpool and later moved to Hinckley; she lived in the Shire for 18 years before moving to Wales, Bristol, South Africa, travelling the world and then making her way back home. We met in a bar through a mutual friend on Christmas eve 2015 and we are very happy that our paths randomly crossed! We have a medium wheel base, high roof ford transit. We debated about what to get for so long but very happy with our choice. It’s big enough to stand up and have a little dance in but also small enough to get down little country lanes or to juggle our way through busy streets. We bought our van in November 2016 and completed the main conversion in July 2017. It became out first home together in August where we took it up to Scotland for Ellie’s brother’s wedding and then down to Boardmasters in Cornwall and then across to France and beyond. We travelled Europe for 10 weeks and we are just about to spend the winter in New Zealand so we are leaving our beloved van with friends to enjoy while we are away. We call our van Escapé…. pronouced how Dory in the film Finding Nemo read ‘escape’ whilst swimming away from the sharks…. Escapeeee! We decided to travel in a van because it’s an easy way to explore different places as well as lugging all our kit with us. 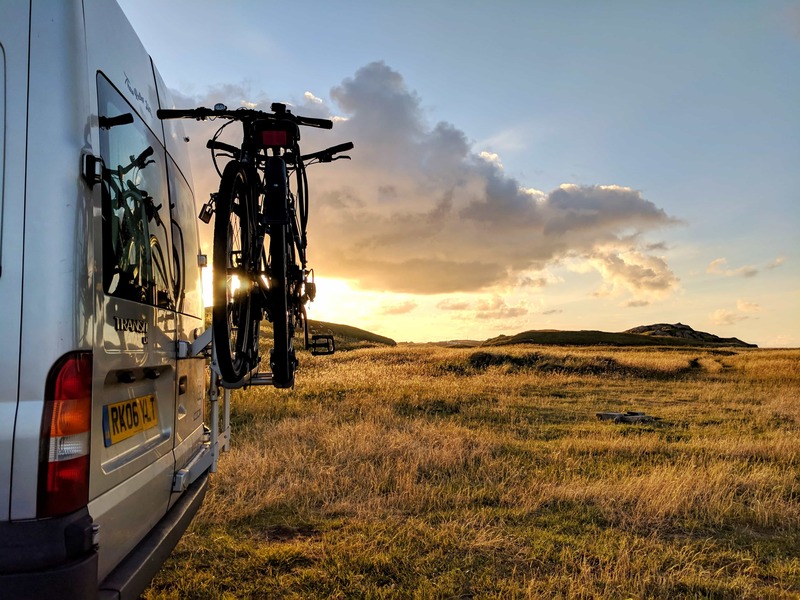 Arron is a keen climber and we also surf, SUP, hike, kite, fish, cycle and love the outdoors; so a van is a good way to take the kit with us wherever we go. 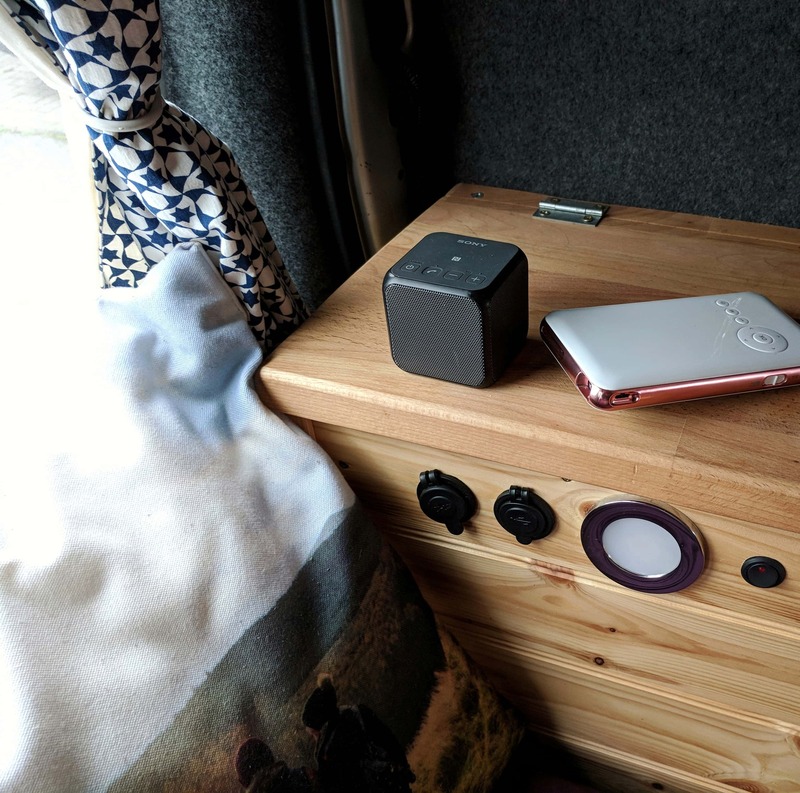 We love travelling and after spending time inter-railing and on a later trip living out of a car in Norway, we concluded that a van would be an epic addition to our lives. We also watched ‘Valley Uprising’ on Netflix and got inspired to live the dirtbag life…! The best thing about vanlife is the freedom to do what you want, when you want and to go wherever you want to go. It’s about being comfortable outdoors; whether it’s warming up by the log fire or hanging a hammock from the van to a tree, it’s so versatile and just a hell of a lot of good fun! For instance, we stayed in a car park in Croatia for 4 days just because we stumbled upon some epic climbing, we didn’t need to plan to stay, we just parked up… home is where you park it; as vanlifers like to say. It’s so easy to just live in many different places and enjoy what different cultures and countries have to offer. The tales we have from living in our van are endless, and we like it that way. 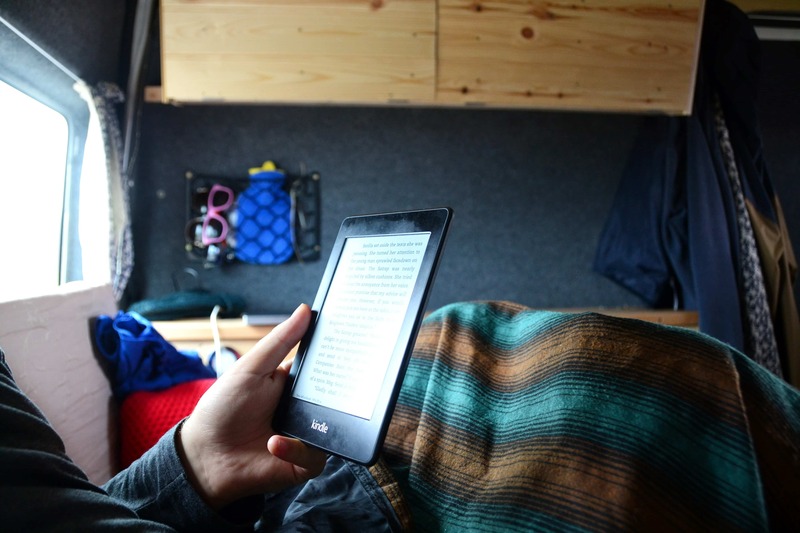 Life is for living and bumbling around in a van allows us to make the most out of life. Pooping… or not always being able to poop so freely. We’ve never appreciated toilets so much! We were going to put a toilet in our van but decided not to. It’s not the end of the world but would have been useful at times. We’d still be happily living our lives; working and holidaying and seeing our friends and family. Before we took our career breaks we were still happy but having the van has just made life that bit more exciting. Vanlife meant that we could finish work on a Friday and jump in to Escape an be in the mountains or at the coast for the weekend with little planning. It was also awesome when some of our best mates got a van too and we’d just hang out doing the conversion and then go on mini-adventures; we look forward to doing that again when we are back from our big trip. Vanlife has taught us to live a bit differently. It’s all about balance and not letting the craziness of life take over. The simple life is a far happier life and it’s a real skill not to get bogged down with the craziness of work, media and the harsh hand that some people are dealt in life. I guess if it wasn’t for vanlife, we’d be holding out for those precious holidays a bit more, whereas now, life feels more like a big holiday. Life is one big adventure and having a van means we can enjoy it just a bit more. We love the log burner and also the roof cage. It’s great to be able to carry all our kit and also sit on the roof and enjoy some nice views, and to then warm up by the fire. We’re really pleased with how we ended up putting the van together but as always there are little things we would change. Something we would massively recommend though is installing a water heater and shower; being able to have hot showers is brilliant. The biggest surprise is just how messy it can get! It doesn’t take long to tidy the van up but after cooking a nice meal, or hosting a little party, the van can feel so trashed! Vanlife does come with having to do a daily clean, finding water, filling up with gas… it’s not all fun and games. Especially when the door falls off, like it did for us on a steep hill in Bosnia and Herzegovina… but this is what keeps it interesting as there is never a dull moment with vanlife; it’s full of surprises!